Structural Fire Engineering provides comprehensive and practical design guidance on the application of structural fire engineering to specialist structural engineers. The chapters provide an insight into the explanation of the structural fire engineering design process, its position within the regulatory system and guidance on the selection of appropriate partial factors for the fire limit state for variations in material properties and loading. The book places structural fire engineering design procedures within a context and framework which will be familiar to many readers. The information on standard methods of test and assessment and their function within the regulatory framework provides a broader perspective to the design standards. Structural Fire Engineering is invaluable reading for practising structural engineers, fire safety engineers, structural fire engineers, students and those who teach advanced fire design. Structural Fire Engineering gives practical design guidance on the application of structural fire engineering to specialist structural engineers; bringing together fire engineering and structural engineering - disciplines which are interlinked in design of structures. Structural Fire Engineering discusses the European standards in the context of fire engineering design and conformity to the requirements of the regulations. 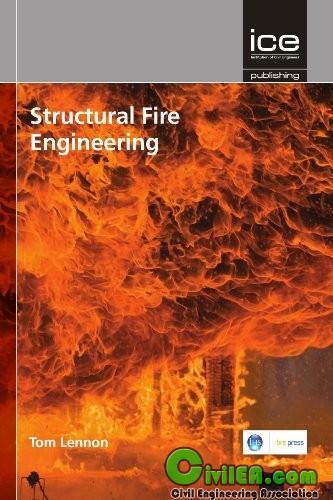 Containing a number of worked examples to illustrate the options for design, this book will primarily demystify the subject of structural fire engineering and identify the available design options to fulfil statutory requirements. The final chapters deal with specific issues which have arisen over the last few years and identify gaps in knowledge in relation to the performance of buildings in fire.